Nearly two decades after premiering on the small screen, Goosebumps --the popular horror fiction series aimed at youth-- is headed towards the big screen. In Goosebumps, upset about moving from a big city to a small town, teenager Zach Cooper (Dylan Minnette) finds a silver lining when he meets the beautiful girl, Hannah (Odeya Rush), living right next door. But every silver lining has a cloud, and Zach's comes when he learns that Hannah has a mysterious dad who is revealed to be R. L. Stine (Jack Black), the author of the bestselling Goosebumps series. It turns out that there is a reason why Stine is so strange . . . he is a prisoner of his own imagination – the monsters that his books made famous are real, and Stine protects his readers by keeping them locked up in their books. When Zach unintentionally unleashes the monsters from their manuscripts and they begin to terrorize the town, it's suddenly up to Stine, Zach, and Hannah to get all of them back in the books where they belong. Scholastic has sold over 350 million Goosebumps books worldwide in 32 languages since the series introduction in 1992, earning critical acclaim and dominating global best seller lists. 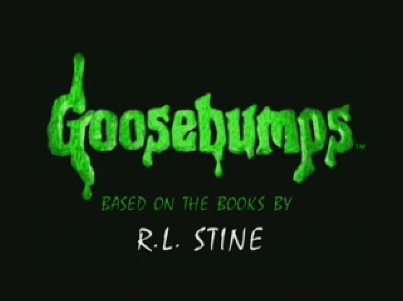 In 1995, a Goosebumps TV series began showing, and aired 74 episodes over the course of four seasons. Goosebumps author R.L. Stine has been recognized as one of the bestselling children's authors in history.